I am not a gamer. I would love to believe I am a creator. Creating new things gives me the chills. I have heard that the greatest achievement of any creator comes with the smiling face of its engrossed user. I thought of the simple fact. Games bring out the best of emotion among the users. Hence Gaming. Be it the metro or the bus, everybody seems to need a game to relax themselves,well I think most of them. Today games are trying to emulate the real world. Be it sports, racing or even a first person shooter. I have always liked the ping pongs, Flappy bird, Mario and even snake. It's no-nonsense. You pick up the phone and start playing. How easily you get immersed in the game. My studio has always been the out come of the similar thought process. I believe the studio and I will be irreversibly entwined to create big and better things in the future. My studio though still in its nascent stage will uphold my enthusiasm. You see the logo? Right? Its colourful. Isn't it :). Its an old saying but that doesn't make it any less true. Simple things are the most difficult to build. I am a true believer of this very fact. If you look closely, I with my team have tried to embody the fact through and through in this game. Its a simple game that inspires you to beat obstacles and come out on top. Retro Rally is remake of our childhood favourite. The racing game that had captivated us and invited the rants of our parents. It's the very basis of every racing game that has been ever made after that. In the era of smartphones, nintendo and PSPs, that rectangular piece of machine, still houses the secrets of so many modern games today. 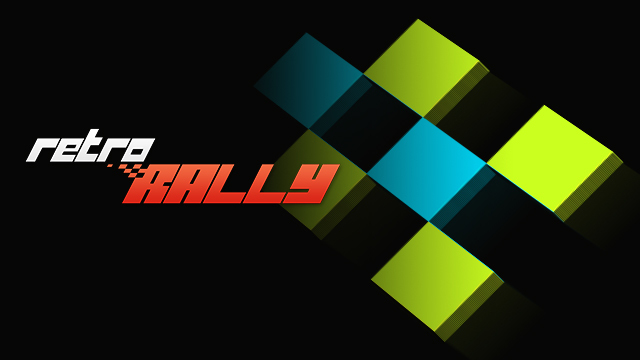 Retro Rally has the dna from start to finish, from that racing game in a more colorful avatar. If racing games are your cup of tea, then this definitely is going to intrigue you. Racing games are not just about the shiny cars, its has always been about the challenge. Retro Rally will test your racing prowess through and through. There is an Interesting story behind why I made Retro Rally. It is a little dramatic but it wouldn't be fun if it wasn't. I was travelling by the metro and saw a kid playing on a console. Playing that racing game that we all revered in our past. How-ever it was not the game that was the source of inspiration. The hands and the eyes got me. His eyes though stuck on the screen had that vigilant appeal which made sure the obstacles never got in the way. And his hand, the partner in crime. I can not deny I come from the land of Bollywood and exuberant drama is in my skin. And in that moment relived my entire childhood and I decided that gaming would now be my major part of my life. And I can still hear the background music ringing loud and clear in my ears. From one of SRK's film I guess. People keep asking me, with so much resource available today at our disposal why I zeroed in on something that is old. Something people have left behind. I have nothing against today's games. They are the epitome of the miles we have come towards inculcating reality to our games. The only downside. They leave very little to the imagination. I am a Nineties Kid. Imagination could take us to the moon. And a little game made us aspire to be the next Neil Armstrong. That is the inspiration to make a game that is easy to comprehend, fun to play and yet make us believe we can surpass all obstacles. And what sets Retro Rally apart ? What is the USP ? I never thought of that before till the time I actually started playing the game myself. And the answer is simplicity. Its an old wine in a new, snazzier and colourful bottle. And boy! It tastes good. I have had a lot of user feedback saying I should increase the levels or add things here and there. That is exactly what I am going to do. You can expect a revamped game-play with new cars or adding some cool obstacles wherever your imagination leads. You can expect new levels as well. One should not lose track of time. I am certainly not losing it. I am soon introducing multi-player modes where you can race amongst your friends and challenge each other. It will add a new dimension to the game. How I would have loved to beat my neighbour in a race !! May be I will challenge him now!! This is just the start. I will keep building and try and make the experience more enjoyable for my users. I hope that Retro Rally game can teleport you back in time make you feel that thrill again.